But what are the best cars to get with this shiny new number plate? Let’s take a look. The dinky A1’s seen a sharp-edged makeover, and now tops the Volkswagen Group’s supermini family above the Skoda Fabia, Seat Ibiza and Volkswagen Polo. A huge limo with coupe-like styling, powerful engines and four-wheel drive? Sign us up. The A7’s getting on a bit now but new plug-in hybrid options due later this year should freshen things up a bit. We’re glad to report that the latest generation of BMW 3 Series is a worthy example of the breed – inheriting its predecessor’s brilliant dynamics and efficient engines. BMW arguably helped make the compact premium SUV segment what it is today, and luckily for buyers of the new X3 and its related X4 sister, it’s not forgotten how to make these big cars handle like sports saloons. Your thoughts about the big grille aside, the new X5 is a deeply impressive beast. Amazingly dainty on its feet for something so big, it’s also premium, comfortable and packed with tech. Could this be the car that best encompasses the spirit of Citroens of old? The C5 Aircross is the quirky option in the SUV sector and comes with the brand’s ‘Advanced Comfort’ suspension and seats. If the C5 Aircross is the modern-day CX, then the Cactus is the 2CV. It puts its focus on simplicity and practicality, though the second-generation model is a little more conventional than its barmy predecessor. 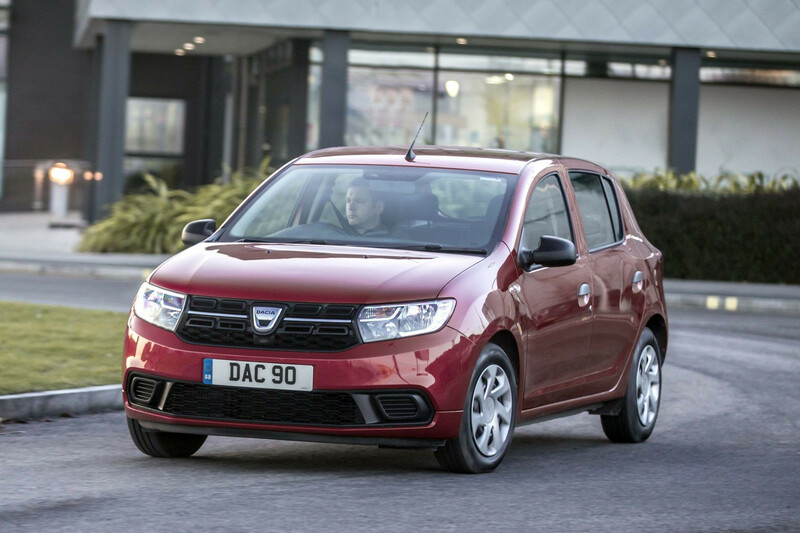 We couldn’t not suggest you buy a Dacia Sandero – after all, it’s the cheapest new car on sale by a big margin. And for its price, it’s actually very good thanks to modern powertrains mated to last-generation’s tech in a bid to keep costs down. We’re quite excited for this one – it’s only DS’s second purpose-built car since the brand spun off from Citroen a few years ago. It’s also going to be offered with petrol, hybrid, and fully electric powertrains. Ditching the California for the far more attractively named (and styled) Portofino was a great move for Ferrari. The new car may not be a track-honed monster, but it’s everything you want from a convertible GT. Having an electrified SUV in the range is quickly becoming a necessity for manufacturers, so it’s a good thing Honda got in relatively early with the comfortable and easy-to-drive CR-V Hybrid. Electric cars are becoming more usable all the time, but with over 250 miles on a single charge and an affordable price tag Hyundai took a big leap with the Kona Electric. Get in quick, as it’s proven so in demand that Hyundai’s struggling to fill orders. Reviving an icon’s always difficult but Jeep managed it with the Wrangler. It’s still as classic as ever – and brilliant off-road – but has enough modern tech to keep millennials happy. A stylish, swooping shooting brake? Who else but Kia? Anyone, in fact – nobody really expected the Proceed, but now it’s here, it’s proven to be a great combination of good looks and superbly practical underpinnings. So the Ceed range may not yet have a true hot hatch to rival sister brand Hyundai’s i30N, but the Ceed GT gets quite close. It’s a good-looking mid-sized hatch with just over 200bhp – plenty for most people! The current Evoque’s been on sale for ages and the time’s right for a replacement, even if that replacement looks virtually the same. It’s all change under the skin though, with new engines and tech. We don’t traditionally buy big saloons in the UK unless they’re German, but the Lexus ES might help change that. It’s not exciting, but it’s supremely relaxing and should be painless to own. Small, premium SUVs are hot, hot, hot – and Lexus is finally entering the segment with its dinky UX. It offers striking looks and hybrid powertrains, hopefully making for low running costs. The family hatchback may have a new class leader in the Mazda 3, which is a brilliant car held back only by its limited engine range. That should change with the introduction of the groundbreaking SkyActiv-X unit, though. We’re big fans of the Mazda CX-3 – a crossover that drives like a beautifully sorted hatchback. It’s also elegantly styled and efficient too, with plenty of petrol and diesel engines to choose from. It’s an impressive good car to drive, too – meaning you don’t have to forsake driver enjoyment for practicality. The 720s Spider is a drop-top version of the firm’s acclaimed supercar. With a turbocharged V8 engine and as much horsepower as you could possibly want, it’s for people who want the McLaren experience with the wind-in-your-hair factor too. Mercedes has proven itself unexpectedly good at making hot hatchbacks, and the A 35 is no exception. Very powerful but superbly composed, with a wild streak that’s very appealing – we can’t wait for its more potent A 45 sibling to arrive. Mercedes latest electrified offering is the all-electric EQC – based on the GLC platform and delivering a 250-mile range and more than 400bhp. The Micra was a fairly mediocre car at launch, but thanks to a mid-life update with new tech and brand-new engines it’s got a new lease of life. Customers can also opt for a sporty N-Sport model with a bespoke body kit and more powerful engine. Peugeot’s 508 Fastback is a real stunner, and the brand’s stylists have worked their magic on the estate, too. It’s not the most practical in its class, sure, but it’s definitely one of the best-looking – and it’s also great to drive. The arrival of a new 911 is always an exciting thing, and fortunately this latest version has managed to live up to the reputation of its predecessor. More of an evolution than a revolution, but you can’t fault the way the new 911 steers, accelerates and looks, too. Yes, it’s another SUV, but the Seat Tarraco is one well worth opting for. Sharp looking and with a range of efficient engines, it’s been designed to take on the likes of the Nissan X-Trail and Kia Sorento. It also comes with the option of seven seats, so it’s ideal for larger families. Contrasting the huge wave of SUVs hitting the market is this, Skoda’s Scala hatchback. Going up against the Ford Focus, the Scala is built on the same MQB A0 platform as the Volkswagen T-Roc and Seat Ibiza. It’s efficient, spacious and – in our eyes – good looking, too. Replacing the old Jimny after nearly two decades was never going to be an easy job, but Suzuki’s tactic of sticking to the old recipe served it very well. If you can get one of these on a 19 plate, then DO – stocks are low and used prices are already rocketing. The Corolla nameplate is one of the best-known – ever – in the car world, and Toyota’s brought it back to Europe to adorn this new, 12th-generation model. It offers a choice of two hybrid powertrains as well as a more conventional cabin shaped by customer feedback. The RAV4 has gone through a bit of a murky patch of late, but now there’s a new one to rectify things. Available with a hybrid powertrain only, it’s a fine option for those who want the high ride height of a compact SUV, but with lower running costs better suited for urban drivers. Volvo’s new V60 is the latest addition to the Swedish firm’s range of estate cars, and aims to match the popularity of the larger V90. A range of petrol or diesel powertrains are available, and they’re backed by excellent build quality and typically Scandinavian looks too.